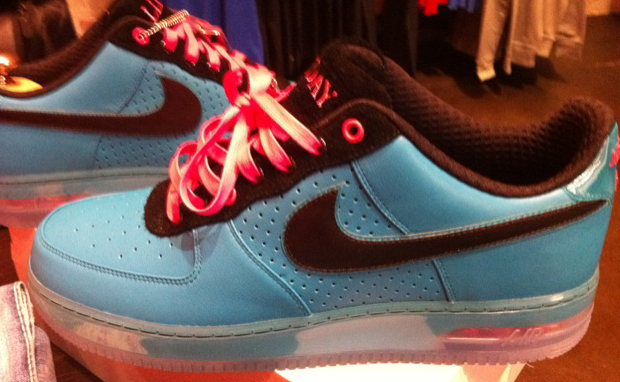 A “South Beach” inspired colorway dons the Air Force 1. These custom Air Force 1were made by ATF`s All Day. Follow All Day for more sneaker heat. This entry was posted in Sneakers and tagged 1, air, beach, bespoke, blue, force, pink, south. Bookmark the permalink.